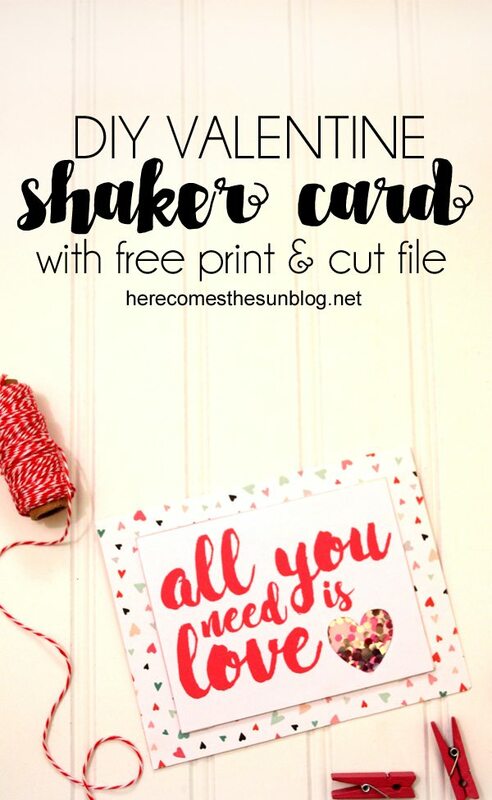 This Valentine shaker card is easy to make with this free cut file. I love making Valentine crafts. I don’t know what it is about all the red and pink but it puts me in a good mood. Shaker cards are so much fun. It’s like a little surprise in every card. 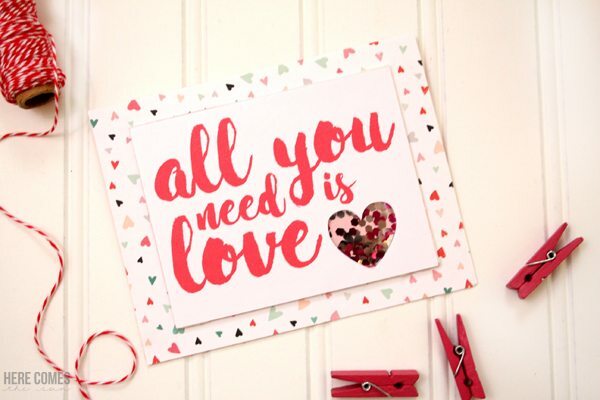 Making a Valentine shaker card is really easy and I’ve even got a free print and cut file that you can use. Decide what size you want your card. I made mine 5.5″ x 4.25″ (when folded). Cut your cardstock twice that size and fold in half. 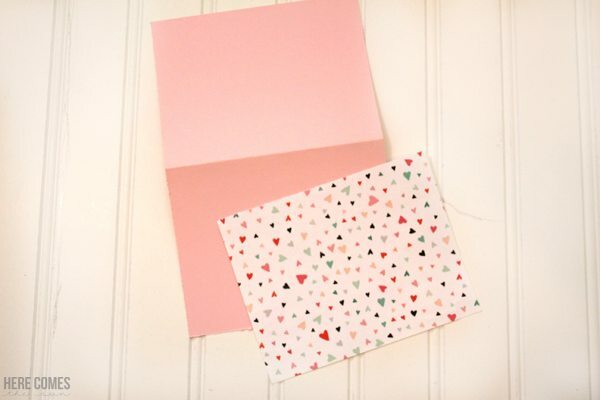 Cut a piece of patterned paper to fit onto the front of your card. Download the cut file. This download contains both a Studio file and an SVG file and you can access it in the resource library, below. 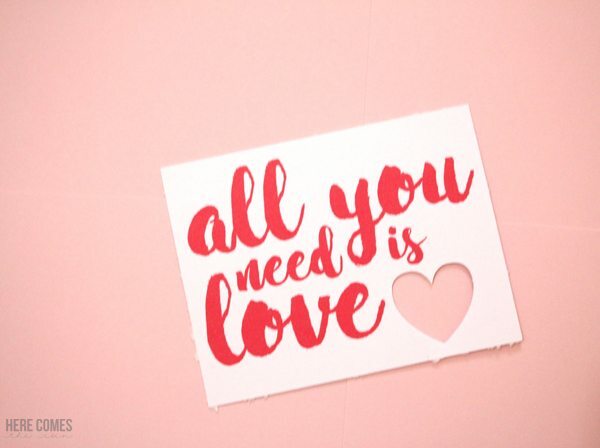 Open it up in a Silhouette or Cricut and set the text to print and the heart and outer edge to cut. Print it on your printer and then cut it out with your Silhouette or Cricut. For Silhouette print and cut tutorial, click here. 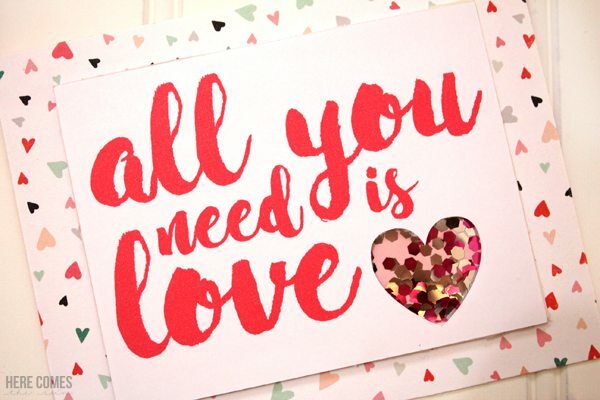 For a Cricut print and cut tutorial, click here. Place a piece of thin plastic onto the back of the cut file and adhere it with adhesive. 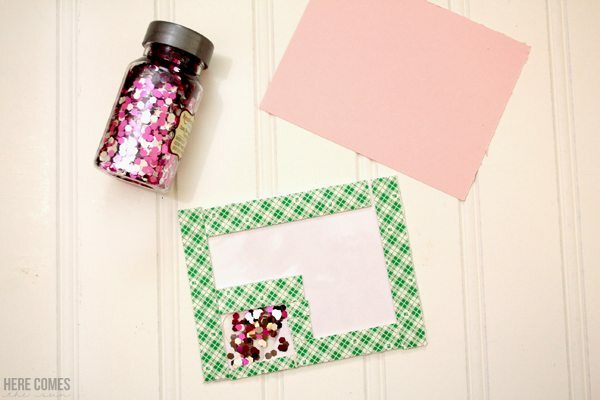 Place the dimensional mounting tape around the heart to make a box for the glitter and also place the tape around the edge of the card. Place glitter into the heart opening. 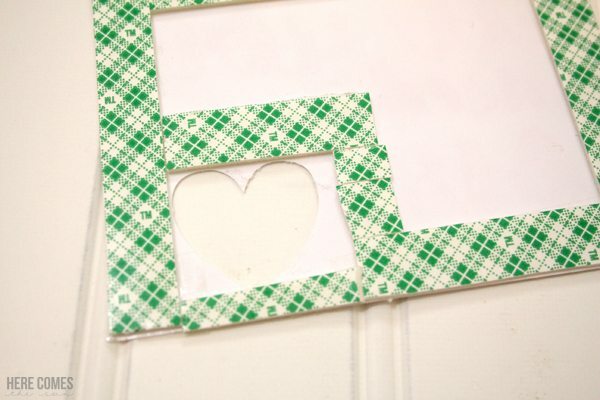 Remove the backing from the mounting tape and place a piece of cardstock onto the mounting tape. Place the entire piece onto the front of the card.